The DW-NEXUS8-4000 is a 4U chassis, 4TB network video recorder which comes equipped with many features for high performance recording for any surveillance application. The DW-NEXUS8-4000 network video recorder features Hardware Watchdog, 2-way audio, remote configuration/operation, support for several major brands of IP style cameras, as well as 8 channels for IP camera recording, and removable HDD bays. The DW-NEXUS8-4000 NVR also consists of auto backup to most external/internal devices, CMS compatibility, network bandwidth control, plus multiple levels of security access, and Digital Signature Verification which allows for the users to easily check the system for tampering. 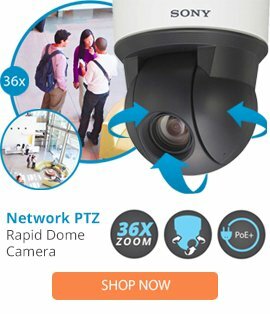 This network video recorder is able to be setup in a small area with its space saving design and comes complete with an emailing service for instant transfer of information when needed.